Lens Description: The Lensbaby Composer Pro With Double Glass Optic (For Canon EF) is part of the Lensbaby series of SLR lenses, and offers the same spectacular special-effect results. The refined and enhanced Composer Pro has an all-metal ball that gives you a more exact, smooth focus and tilt control and will retain its position after being bent, which makes it easy to use even with one hand. 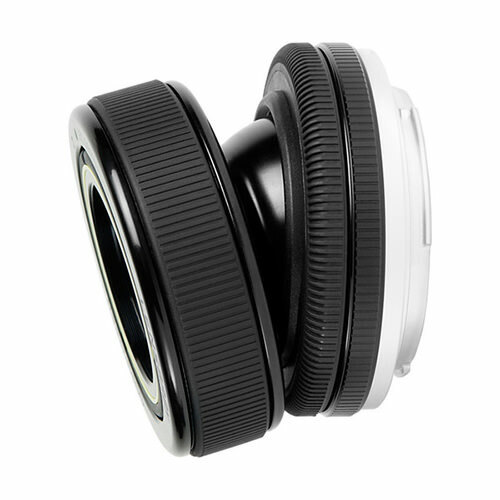 Simply tilt the lens to a desired angle and then focus with a traditional barrel focusing ring.